The Iraqi central government said Tuesday that it is giving the Kurdistan Regional Government (KRG) three days to hand over the control of airports to avoid an international air embargo. The KRG, led by Masoud Barzani, held a controversial independence referendum Monday despite widespread criticism. 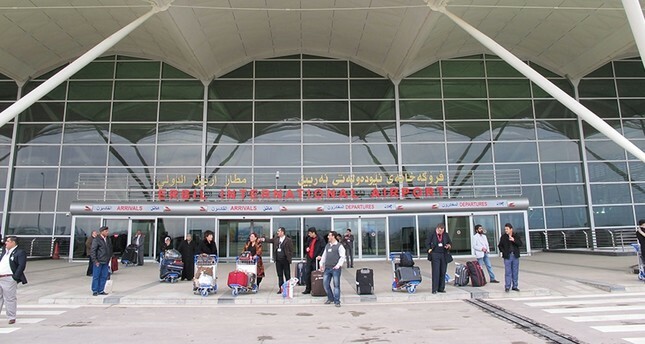 Baghdad last week asked foreign countries to stop direct flights to the international airports of Irbil and Sulaymaniyah in KRG territory, but only Iran declared such an air embargo, halting direct flights to Kurdistan. "The referendum will have a negative impact on all of Iraq and the KRG. We will never compromise the unity and sovereignty of Iraq. We will not have any negotiations with regards to the outcome of the referendum," Iraqi Prime Minister Haider al-Abadi said. Abadi also said that the central government decided to take control of all border gates. "KRG officials did not hear from local, regional and international actors that the referendum was not constitutional. The border gates in the KRG are subject to the control of the Iraqi Border Control Agency. If border crossings are not given to Baghdad within three days, we will stop all international flights from and to the KRG," Abadi added. The KRG's decision to hold the referendum has troubled its neighbors, including Turkey and Iran, as well as the U.S., EU and the U.N, who said it will only distract from the ongoing fight against Daesh and further destabilize the region. Monday's non-binding referendum took place in KRG-held areas, including areas disputed between Irbil and Baghdad such as oil-rich Kirkuk.